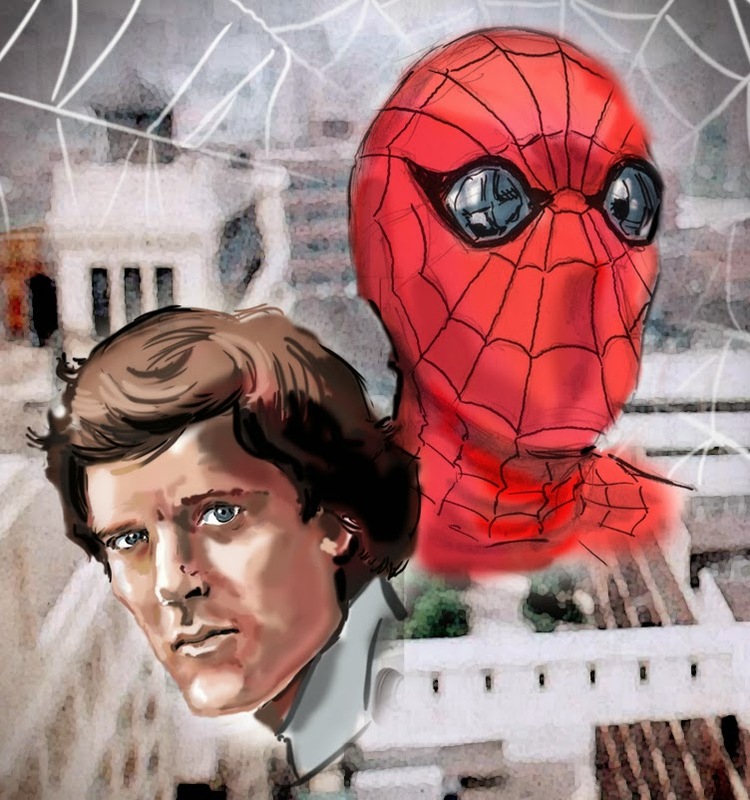 My latest digi-painting... Nicholas Hammond as my favourite live-action Spider-man. Nicholas thanked me for posting this, and retweeted this on Twitter!!! These live-action Marvel heroes just keep making my day! @Soulman_Inc I'm honored. Thank you. 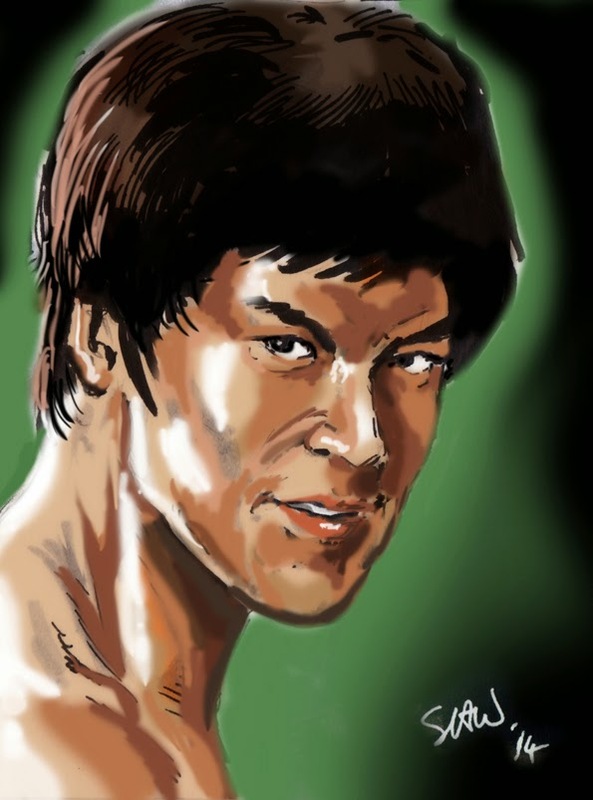 Here are some digital paintings I have done over some black and white sketch-cards that I have drawn recently. 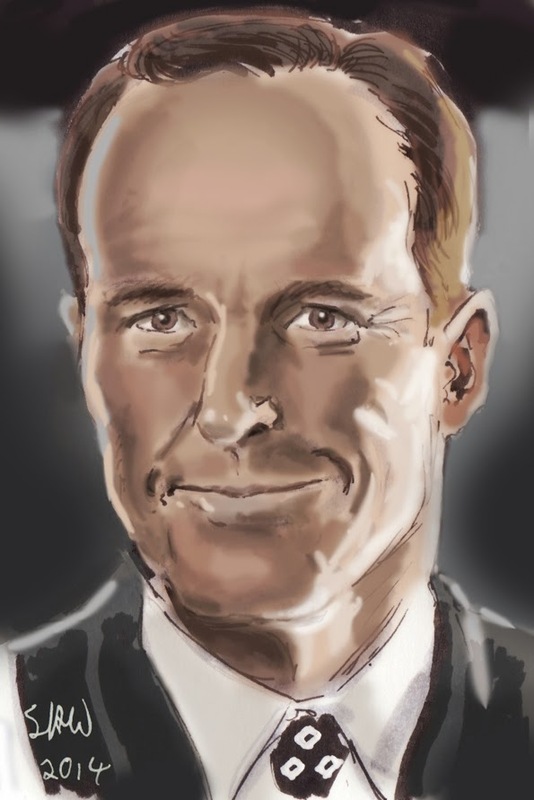 The first is the excellent Clark Gregg as Marvel's main man of S.H.I.E.L.D., Phil Coulson... and the second is the beautiful Ming-Na Wen as the awesome Agent Melinda May. 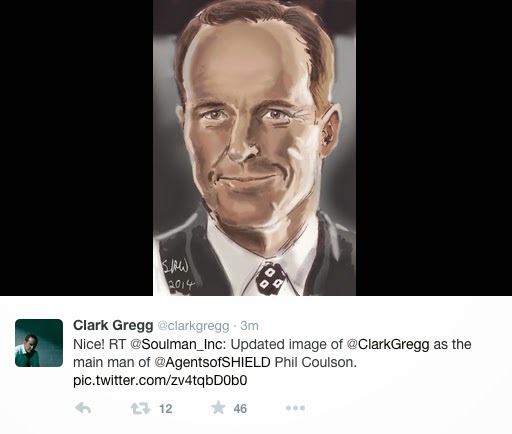 Check out the retweet from Clark Gregg himself... that made my day!!! 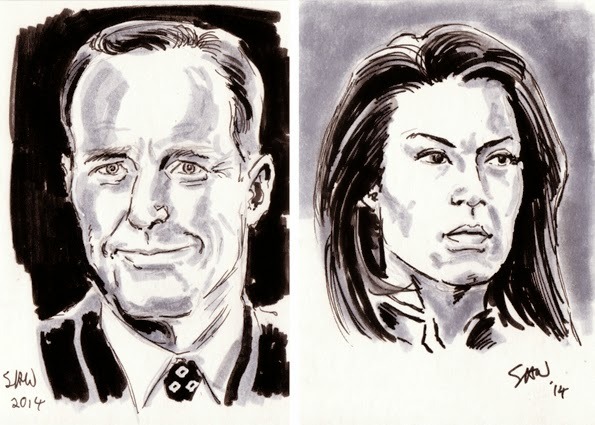 The original sketch card sketches. 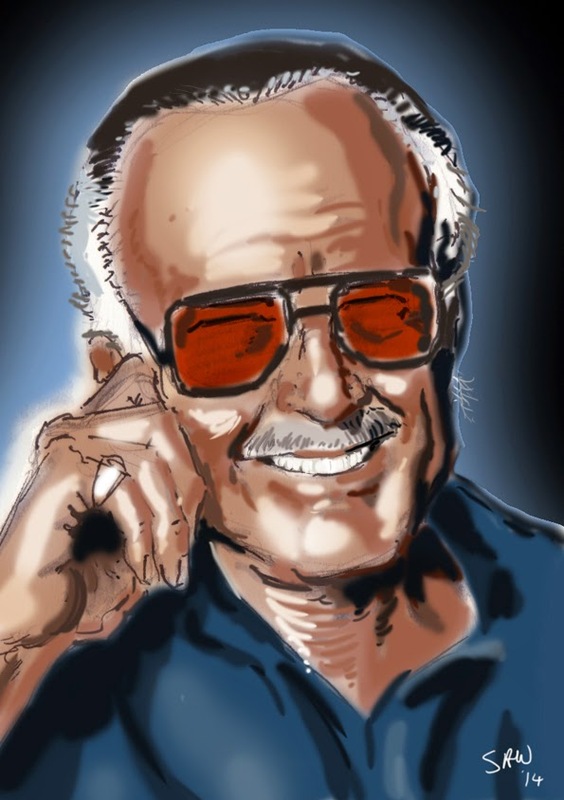 Happy 92nd birthday to the one and only Stan Lee! 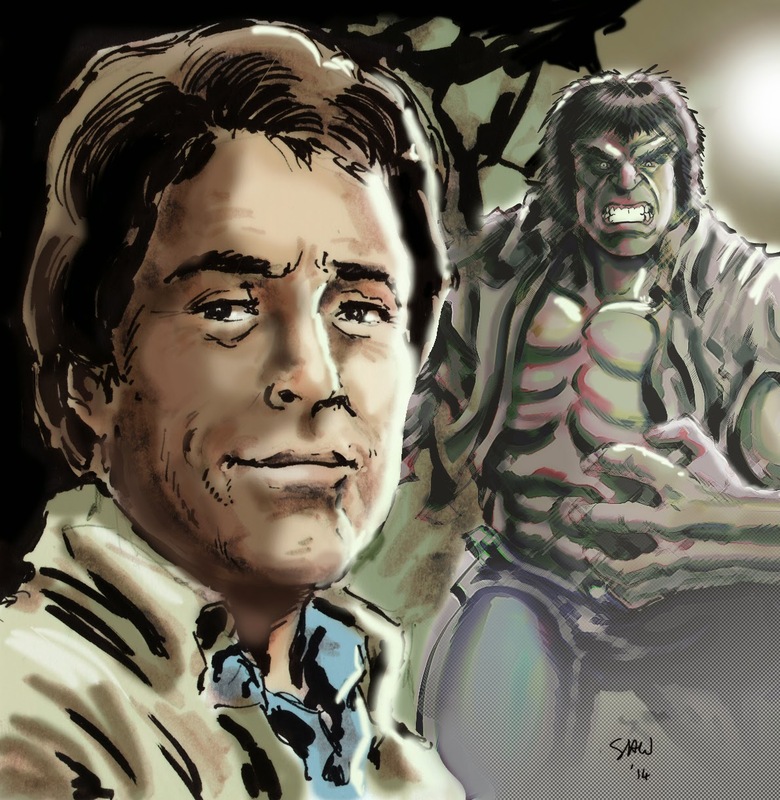 As a life-long fan of "the man", I'd like to wish Stan the happiest of birthdays! Happy birthday Stan! 92 years of age, and STILL "the man"! 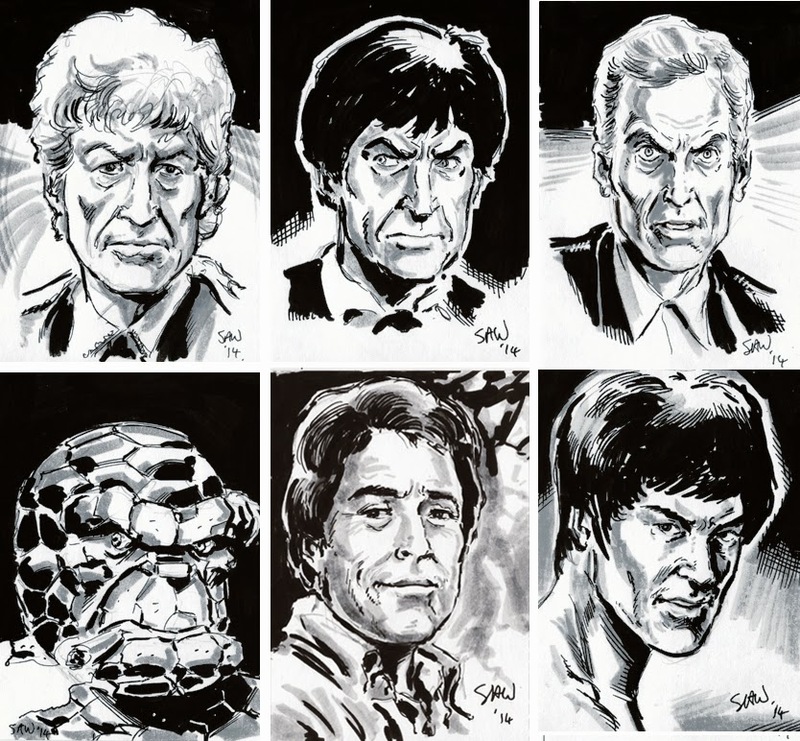 Here are some sketch cards that I've been drawing, whilst sitting in my favourite cafe... I've really been enjoying drawing these. Their roast dinners and cuppas must be brilliant inspiration! the polarity while it's clobberin' time, my giddy Aunt Petunia! Brigadier Alistair Gordon Lethbridge-Stewart, the beloved character from the classic Doctor Who series (played by the late, great Nicholas Courtney) is getting his own line of novels, written by that splendid fellow Andy Frankham-Allen and published by the wonderful chaps at Candy Jar books! This line of novels, based on the character before he became Brigadier will feature covers by yours truly... the first of which being LETHBRIDGE-STEWART: THE FORGOTTEN SON which is out early 2015. 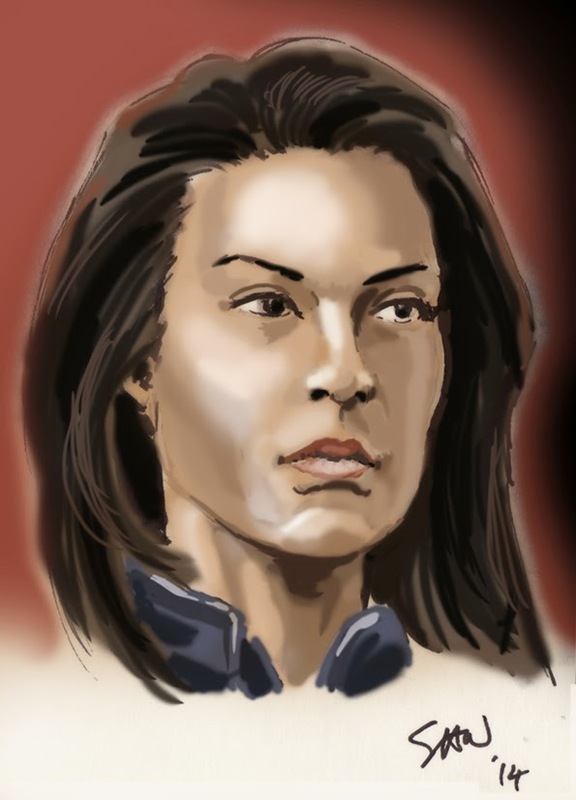 I'm extremely proud to be the official artist for this series featuring such an iconic character from the world of Doctor Who (the Brig is an all-time favourite of mine). You can find out more about this exciting series and pre-order a copy on the Candy Jar website! 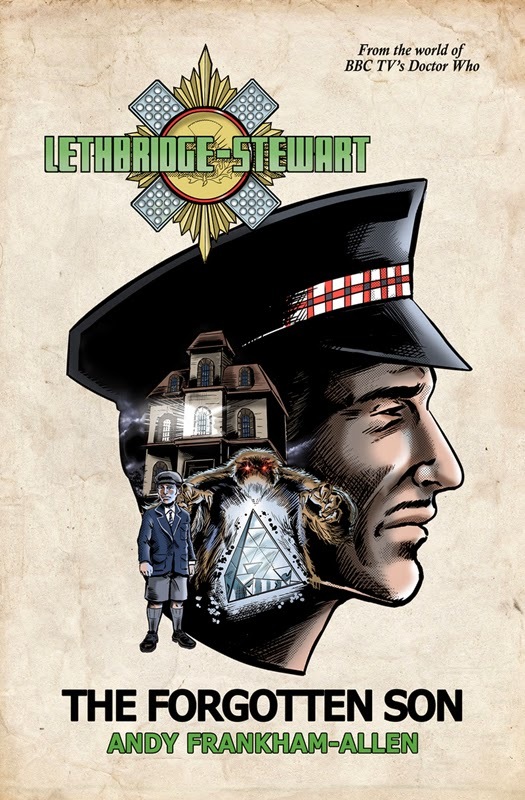 Cover art for the upcoming LETHBRIDGE-STEWART: THE FORGOTTEN SON.